With presentations from artists, collectors and curators, as well as experts in conservation, framing and collection management, the course will provide a comprehensive introduction to collecting contemporary drawing practice. 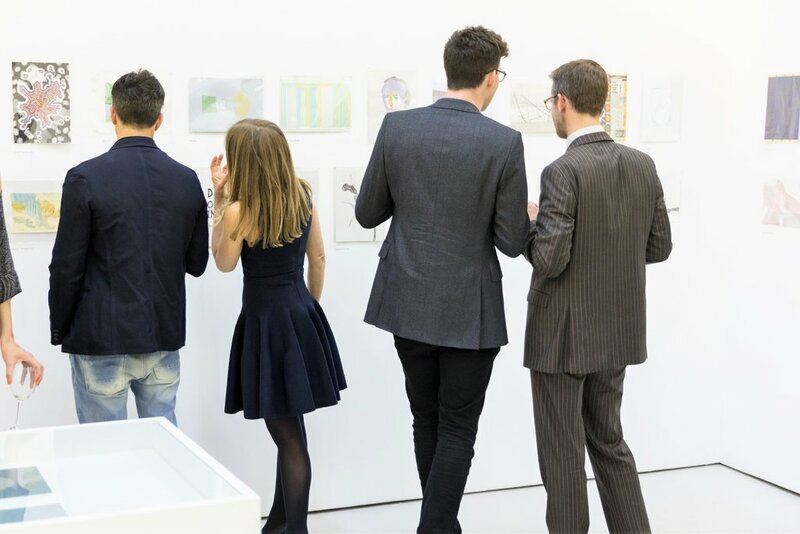 Over three evening sessions spread across three weeks, this course will provide a historical context for contemporary drawing, advice on buying works on paper and developing your collection. The course will allow you to navigate the path from discovering artists and acquiring works on paper, to taking care of your collection and preserving it for the future. The course will take place at various locations and speakers include: Katharine Stout (Deputy Director of ICA and Drawing Room Co-founder), Eugenio Re Rebaudengo (collector and founder of ARTUNER), Mike Armitage (artist), Ben Deakin (artist), Professor Andrew Renton, as well as Mary Doyle and Kate Macfarlane (Drawing Room Co-directors). For more information on the course and to book your ticket please contact Silvia Denaro (020 7394 5657) or visit the event page on our website.